KUALA LUMPUR - Singapore’s expulsion in 1965 prevented Lee Kuan Yew from continuing to press for a “Malaysian Malaysia” and allowed Malay ultras headed by Tun Dr Mahathir Mohamad to depose Tunku Abdul Rahman, Datuk Zaid Ibrahim asserted today. In a blog post eulogising the late Singapore founding father, the former de facto law minister lamented the lost opportunity for both Tunku and Lee to co-operate on transforming Malaysia into a flourishing democracy with strong rule of law. “Without Singapore in the wings and without LKY articulating his mantra of ‘Malaysian Malaysia’, the ultra Malays, led by Dr Mahathir, gained huge momentum. "They filled the vacuum with the help of a young Islamist named Anwar Ibrahim. “They were able to push Tunku out after May 1969 and the country’s history was rewritten by the introduction of the New Economic Policy (NEP), followed by the Malay-first and Islamisation policies,” Zaid wrote on his blog today. Tun Dr Mahathir Mohamad, a vocal critic of Tunku, eventually became the country’s fourth and longest-serving prime minister, while Anwar later became his deputy. The NEP is the technically-defunct race-based affirmative action that created a system of preferential treatment for the Bumiputera in jobs, housing and access to government funding. The policy and others taking after it are blamed for Malaysia’s declining competitiveness as well as increasing discontent among non-Bumiputera communities over what is perceived to be “second-class” treatment. Zaid said that keeping Singapore in Malaysia and Lee in the administration would have allowed Tunku to resist the push for Malay-first policies in order to make the community competitive, progressive and reasonable. According to the former Kota Baru MP, the country’s first prime minister would also have been able to keep Islam’s focus on charity, good and ethical conduct and compassion instead of permeating into the governance of the country. “Malaysia has come full circle: Malays have become Arabs, Malay words have changed to Arabic, and their Western education has changed to the Islamic variety. “Malaysia’s identity no longer follows Tunku’s vision. Singapore remained true to the dreams of its founder, and very successfully as well. That’s the tale of the two leaders, in short,” he said. Singapore founding father Lee died on March 23 after over a month on life support following complications arising from severe pneumonia. 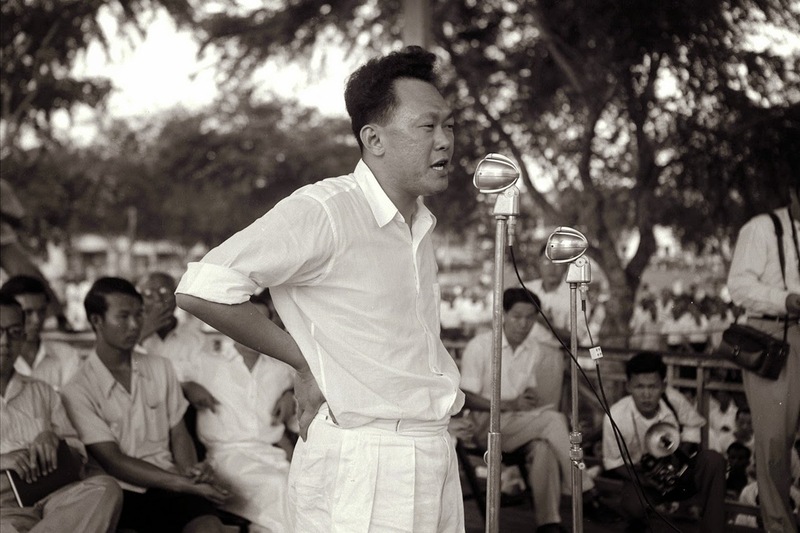 Singapore joined Malaya, Sabah and Sarawak to form the Federation of Malaysia in 1963, but was expelled two years later by an Act of Parliament following racial tensions over the republic’s insistence on equal treatment for all citizens.